North Tamil Nadu will continue to remain mainly dry. The south coastal Tamil Nadu region will see some reduction in the ongoing heavy rains in the subsequent 24 hours. Chennai – Partly cloudy to generally cloudy skies, maximum temperature likely to stay around 30 degrees, nights a bit warmer at around 23 to 24 degrees. Trichy – Partly cloudy to generally clear skies, pleasant day with temperature hovering around 29 to 30 degrees. Madurai – Sky would be generally cloudy with a chance of light to moderate rains, maximum temperature around 29 degrees. 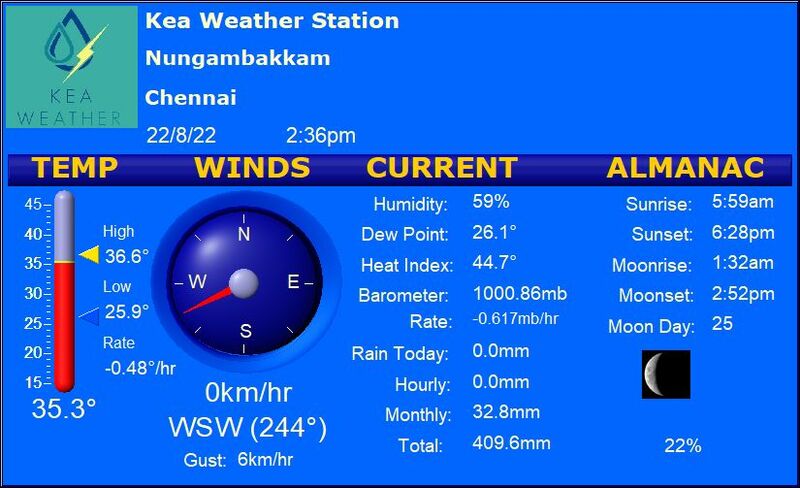 Coimbatore – The maximum and minimum temperatures likely around 29 and 20 degrees respectively. Vellore – Few patches of clouds hanging over the region with maximum temperature around 30 degrees and minimum around 20 degrees.